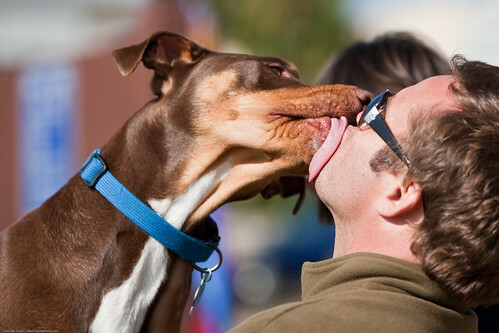 Unless you have loved a dog in your life, you might not understand the unique and amazing experience that is the big, slurpy dog kiss. To the untrained human, getting a face full of dog tongue might evoke a pretty strong reaction, typically known as the “Eww, eww, eww” phenomenon. But, veteran dog lovers know that nothing says “I love you” like getting smacked with full force right across your zygomatic with the business side of your dog’s tongue. While showing affection with a kiss isn’t anything out of the ordinary for a human, cute doggies clearly feel the same way as they express themselves through a poochie smoochie or two. When viewing moments like this, or experiencing them yourself, you can’t help but grin and feel warm and fuzzy. Sure, you may be a little wetter for the wear, but it’s just a reminder that somebody loves you, right? Brighten your day today and take a gander at some of the slurpiest moments of dogs giving kisses and remember to return the love and plant a big wet one on them later. 1. Your mouth clearly doesn’t have enough tongue, here have some of mine. 2. Thank you for all of the puffy rice cereal that you drop out of your high chair. Oh, and those peas too. Sincerely, thank you so much. 3. Kiss me you fool! 4. Rachel, my love is no laughing matter. Pull it together please, you’re hurting my ego here. 5. Wet willy! Bahahaha, gotcha! 6. If you think sitting behind me will keep you safe from the line of fire, you’ve clearly never witnessed the awesome power of my tongue. 8. There, there dear, don’t worry. Mommy won’t let that cat boop your nose anymore … even though it was kinda hilarious. 9. You can’t escape me! Resistance is futile! 10. I love you! Let’s be best friends forever! So Green Monsters, feeling warm and fuzzy now? 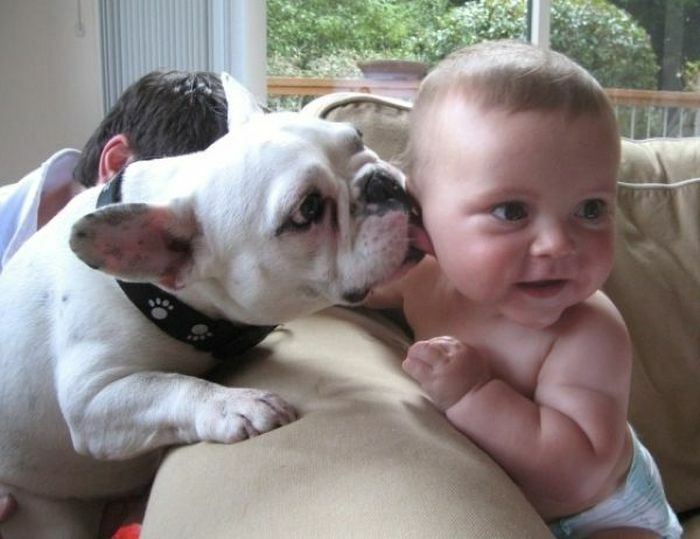 We want to see your photos of your dog giving out big, sloppy kisses! Post them in the comment section! Cute and kinda gross too!